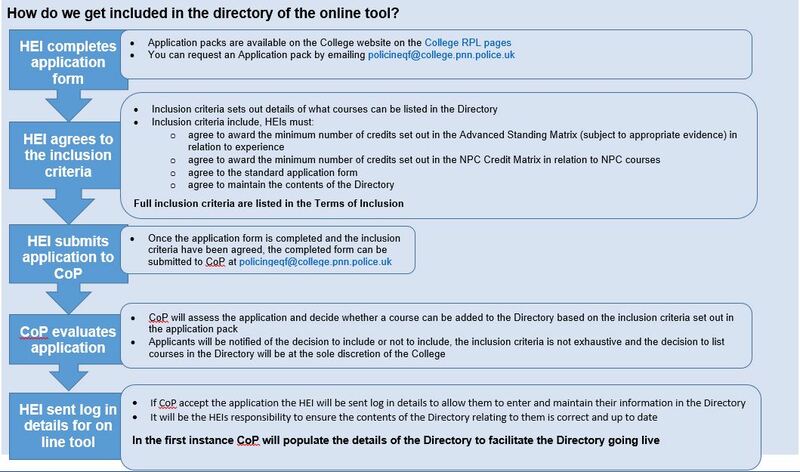 Home • Recognition of Prior Experience and Learning (RPL) • Information and Guidance • Guidance for Higher Education and Recognised Qualification Providers • How do we get included in the directory of the online tool? How do we get included in the directory of the online tool? How will officers and staff gain credits for their previous learning and experience? How do officers and staff apply? How will this impact on our existing RPL process? How will this benefit us as an HEI? What does the online tool do?